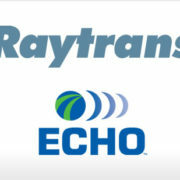 Palm Beach, FL – June 10, 2009 –BG Strategic Advisors (“BGSA”) is pleased to announce that Raytrans Distribution Services, Inc. (“Raytrans”), a transportation brokerage firm based in Matteson, Illinois, has been acquired by Echo Global Logistics, Inc. (“Echo”), a technology-driven transportation management firm. BGSA acted as the exclusive financial advisor to Raytrans Distribution Services in this transaction. James Ray, Jr. founded Raytrans Distribution Services in 2000. Raytrans’ network of skilled transportation professionals and carriers specializes in flatbed, over-sized, auto-haul and other specific services as well as traditional dry van brokerage. 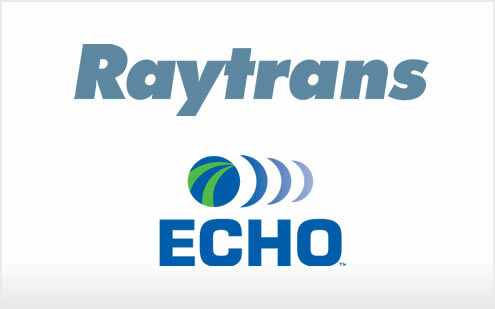 Effective immediately, Raytrans Distribution Services will begin doing business as Echo Global Logistics, Inc.
Raytrans Distribution Services provides transportation brokerage services to shippers in the United States, Mexico, and Canada. The company distinguishes itself by providing sophisticated shipping solutions in multiple specialized markets such as the transport of over-dimensional loads, non-domestic automobiles, North American international shipments, and other flatbed truckload services. For more information, visit www.raytrans.com. Privately-held Chicago-based Echo is a technology-driven transportation management outsourcing firm which helps clients reduce their transportation spend. Echo’s enterprise and transactional clients range from small businesses to Fortune 100 companies. Echo’s transportation management solutions deliver cost savings through proprietary access to unparalleled transportation market data, custom-built world-class technology, a “best cost” global labor platform, an extensive nationwide network of carriers, and buying leverage resulting from the aggregated spend on behalf of Echo’s clients. For more information on Echo, visit: www.echo.com. https://bgstrategicadvisors.com/wp-content/uploads/2017/06/raytrans_echo.jpg 309 495 admin http://bgstrategicadvisors.com/wp-content/uploads/2017/06/bgsa_logo_237x100.png admin2009-06-10 05:00:142017-06-25 21:14:12Raytrans Distribution Services, Inc.
Strategies for Growth Amidst Challenging Times Amerijet International, Inc.